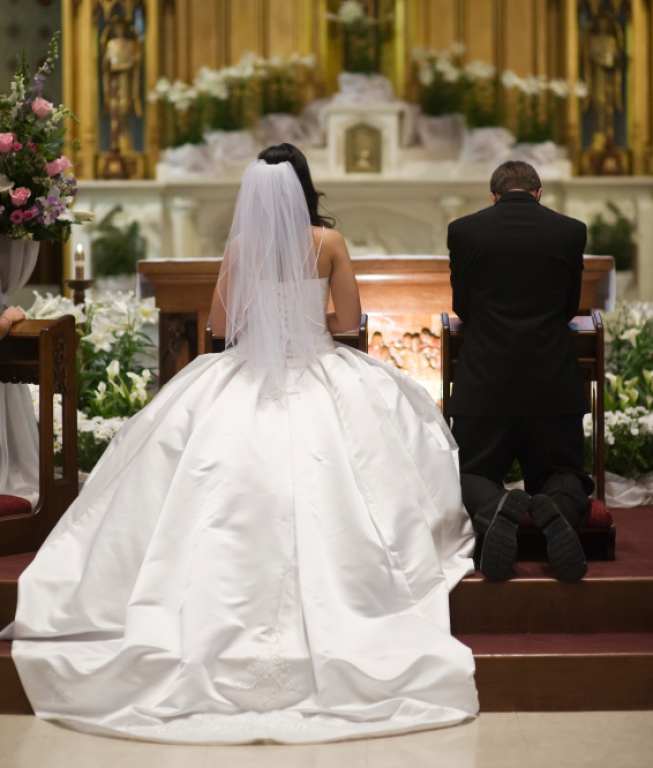 To be married in Holy Family Parish, please call the parish office, 372-2127, six months prior to the wedding, to arrange a meeting with a priest. "For this reason a man will leave his father and mother and be united to his wife, and the two will become one flesh. So they are no longer two, but one. Therefore what God has joined together, let man not separate." Holy Scripture affirms that man and woman were created for one another: "It is not good that the man should be alone. "The woman, "flesh of his flesh," his equal, his nearest in all things, is given to him by God as a "helpmate"; she thus represents God from whom comes our help. Also, please read the Catholic Bishops of Pennsylvania article titled "LIVING TOGETHER"